Kittens are cute and fluffy, unless of course they are exploding. 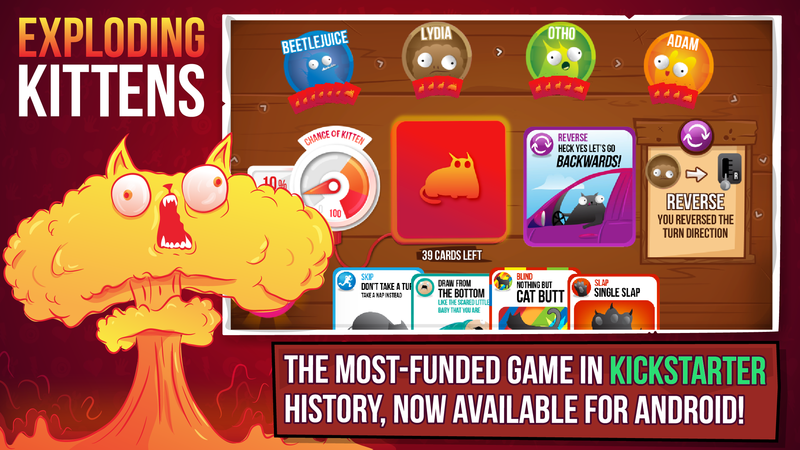 Exploding things are bad, as you will quickly learn in Exploding Kittens, a new Android game based on the card game of the same name. It comes from (among others) Matthew Inman of The Oatmeal. It's a fast-paced, friendly game of Russian Roulette, but with exploding cats in place of bullets. Don't have friends? No problem, you can play with strangers online.